So, if you're thinking of buying a new BMW this 182-registration period there's some very good news. BMW Ireland is offering a nine per cent price cut across the range, for orders put in before the 30th of September. But what if you can't decide which BMW model to buy? Well, BMW Ireland is making that process a little easier too. If you ask nicely, at one of the participating retail centres, you can actually take away a new BMW for a 24-hour test drive. BMW Ireland says that this is part of its "new brand campaign celebrating the very best experiences that Ireland has to offer. The central theme to the campaign explores what drives us to find the 'Ultimate' experience: the ultimate swim spot, ultimate drive or even the ultimate bowl of seafood chowder. Ireland is a small island, but size is our strength, which means these ultimate experiences are always within reach. And what better way to discover them by taking a new BMW model for a test drive?" There are also some key new models being launched by BMW this summer. First up is the new X4, platform sharing with the impressive X3 SUV. Wider, longer, and lower than its predecessor, the new X4 goes on sale shortly, with an on-the-road price of €61,222. 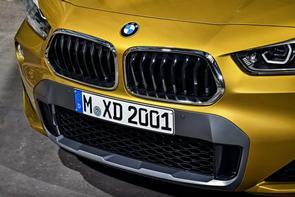 It will sit alongside the just-launched new X2 crossover, which has a starting point of €40,015. Both of those prices include the new 'Ultimate' nine per cent discount. Fancy something a little more exciting than those? Well BMW is bringing a pair of eights to the table, in the shape of the new i8 Roadster and the 8 Series Coupe. The i8 Roadster is the plug-in hybrid i8 coupe, but with the roof taken off. Same impressive performance, same impressive fuel economy, but with a million miles of headroom. Prices start from €172,265.